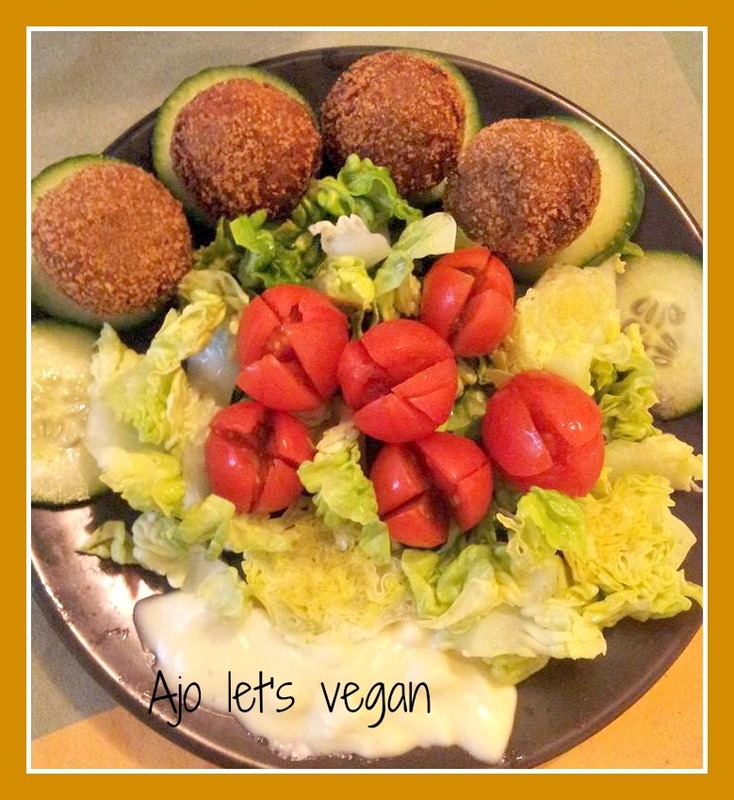 Today I want to share with you my favourite balls recipe. I think that these balls are a valid substitute to meatballs: their appereance looks like meatballs and also the taste resembles them. Transfer the mixture in a mixing bowl. Add a small quantity of bread crumbs a time mixing with your hand, until you reach the right consistency. The mixture doen’t stick anymore and you can do the stable balls. Now you can cook them in the oven or fry them. If you want to bake them you’ll have to preheat the oven to 180°, place the balls on a tray covered with baking paper, season them with a small quantity of olive oil and cook for about 10 minutes, until golden brown. (If the balls are cooked but they are not yet golden brown you can turn on the frill for few minutes). If you want to fry them you’ll have to cook them in deep hot frying oil, stir them until they’ll golden brown. I usually serve them with Vegan Mayonnaise. With leftover balls I sometimes prepare a vegan ragu or Vegù. I’ll write a post on it soon. 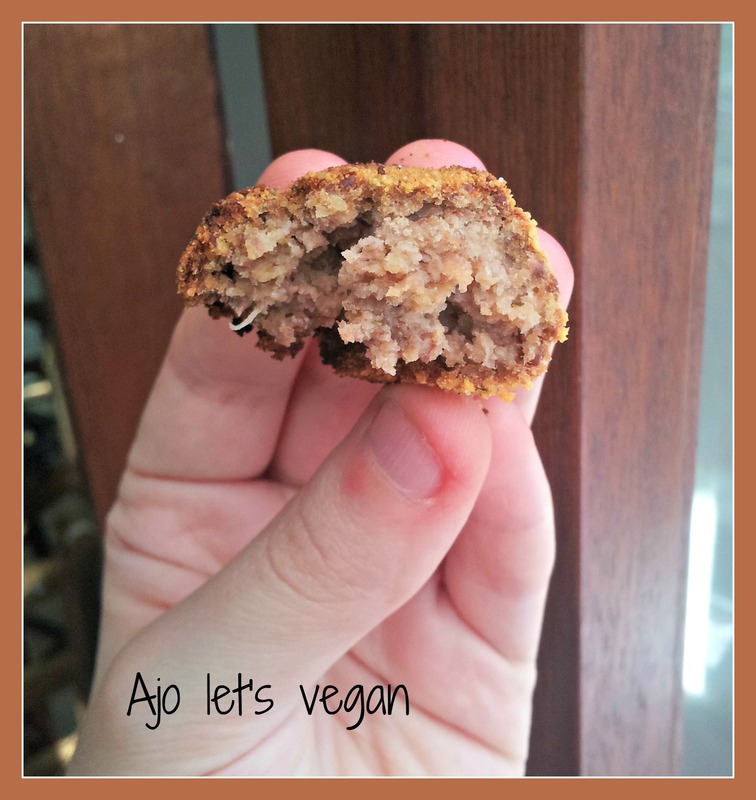 Ciao a tutti, oggi voglio condividere con voi la mia ricetta preferita per fare delle polpette vegan. Io credo che questo tipo di polpette siano una valido sostituto delle polpette di carne. Infatti hanno un aspetto molto simile alle tradizionali e anche il sapore si avvicina molto. Aggiungere il pangrattato poco per volta, mescolando con le mani, fino a che non si raggiunge la giusta densità. Il composto non deve risultare appiccicoso e voi dovete riuscire a fare delle palline stabili. Ora potete decidere se cuocerle in forno o friggerle. Se volete cuocerle in forno dovrete preriscaldarlo a 180° e adagiare le polpette su una teglia rivestita di carta forno e condirle con un filo d’olio . Dovrete cuocerle per circa 10 minuti. Se le polpette sono evidentemente cotte ma non ancora dorate potrete accendere il grill per pochi minuti. Se invece volete friggerle dovrete farlo in abbondante olio ben caldo, girando di tanto in tanto finchè non sono dorate. 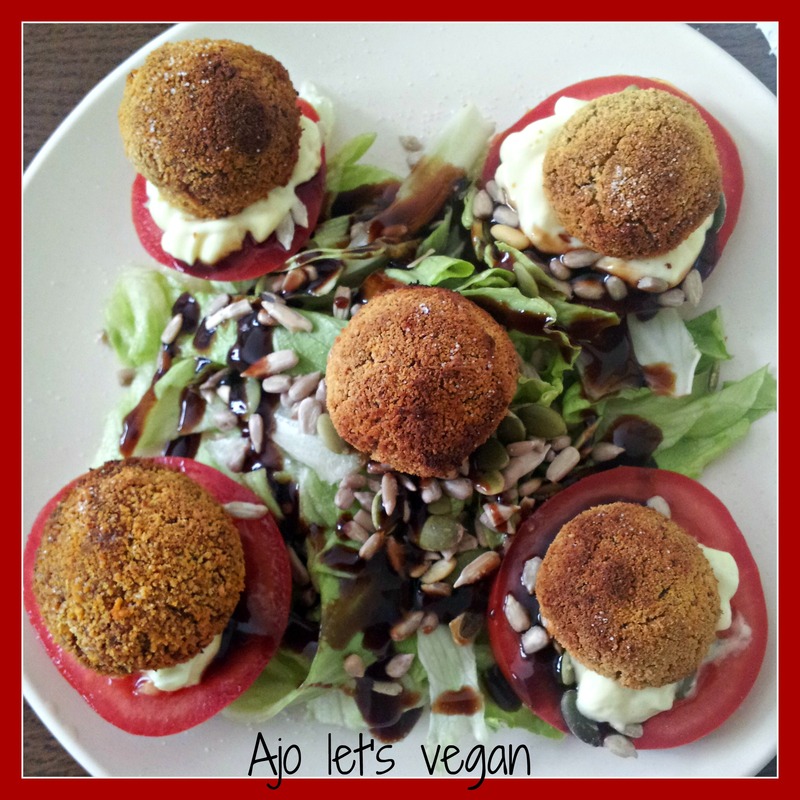 Solitamente io accompagno queste polpette con della maionese vegana. Con le polpette avanzate faccio spesso un ragù vegan o Vegù. Scriverò prossimamente la ricetta per realizzarlo. che figata, devo provare! Non è difficile vero?